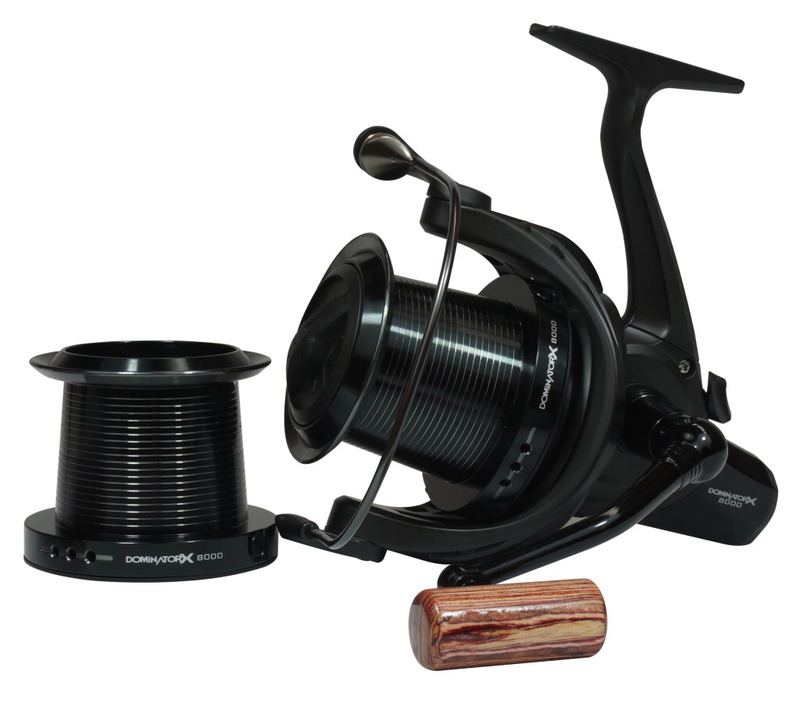 The DominatorX 8000 reel offers exceptional performance and value. The lightweight graphite body is partnered with a longcast tapered aluminium spool. Super-slow oscillation gearing gives you perfect line lay and the Quick-Torque™ drag system keeps you in total control of hard fighting fish. The reel comes complete with two double anodised aluminium spools with twin oversized line friendly line clips. Sleek black styling, gun metal highlights and a barrel shaped wooden handle that adds a classic retro touch. However don’t be fooled; this reel focuses on the features you need. “Performance, looks, value” now you can have all three.